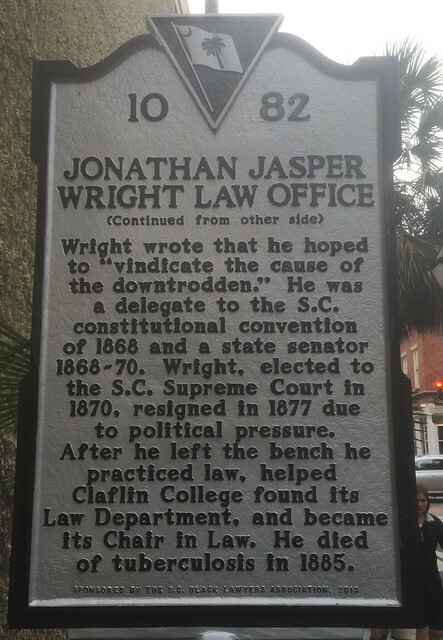 While we were exploring Charleston, I stopped at a number of South Carolina historical markers, including: Thomas Smith [#10-03], The Siege of Charleston, 1780 [#10-65], The Seizure of the Planter [#10-76], Kress Building [#10-79], Jonathan Jasper Wright Law Office [#10-82] and U.S. Courthouse and Post Office/Briggs V. Elliott [#10-85]. 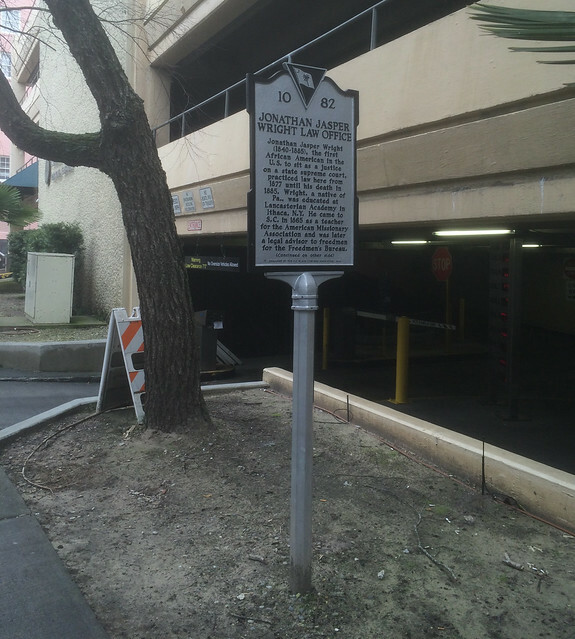 This marker is located at 84 Queen Street, Charleston, South Carolina. The GPS coordinates for this location are N 32° 46.674 W 079° 55.953. 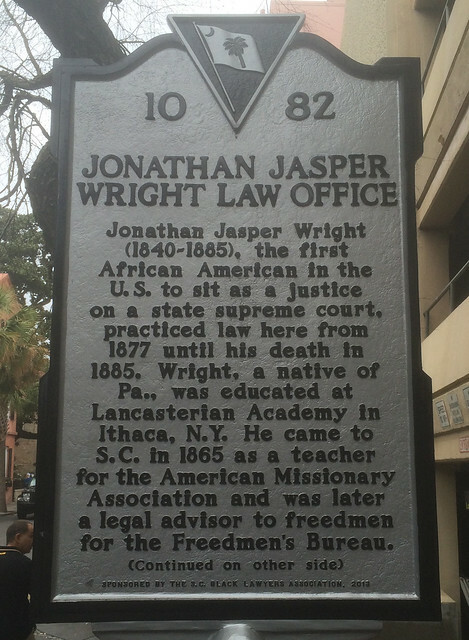 Jonathan Jasper Wright (1840-1885), the first African American in the U.S. to sit as a justice on a state supreme court, practiced law here from 1877 until his death in 1885. Wright, a native of Pa., was educated at Lancasterian Academy in Ithaca, N.Y. He came to S.C. in 1865 as a teacher for the American Missionary Association and also worked as an attorney for the Freedmen’s Bureau. Wright wrote that he hoped to “vindicate the cause of the downtrodden.” He was a delegate to the S.C. constitutional convention of 1868 and a state senator 1868-70. Wright, elected to the S.C. Supreme Court in 1870, resigned in 1877 due to political pressure. After he left the bench he practiced law, helped Claflin College found its Law Department, and became its Chair in Law. He died of tuberculosis in 1885.